Access All Areas members have a brilliant new collection of Photoshop Actions to download this week, courtesy of the photography experts at Contrastly. The Urbania collection has been designed to enhance urban and city street photos with increased clarity, saturation and increased grit & grain. 18 Actions are included that non-destructively apply a variety of effects, so you retain 100% of your original image. There’s also a “Play All” option that runs through each action so you can then easily compare the effect with your original image. Contrastly is an online magazine about photography as well as an online store providing unique tools & resources for enthusiast photographers. Their store is full of high quality Lightroom Presets and Photoshop Actions that were designed by and for photographers to process your images with professional techniques and effects. There’s a range of packs that cover popular photography styles like Landscapes, Portraits, HDR and Film Simulations, but also plenty of photo enhancing tools to adjust the sharpness, contrast and clarity of your shots. 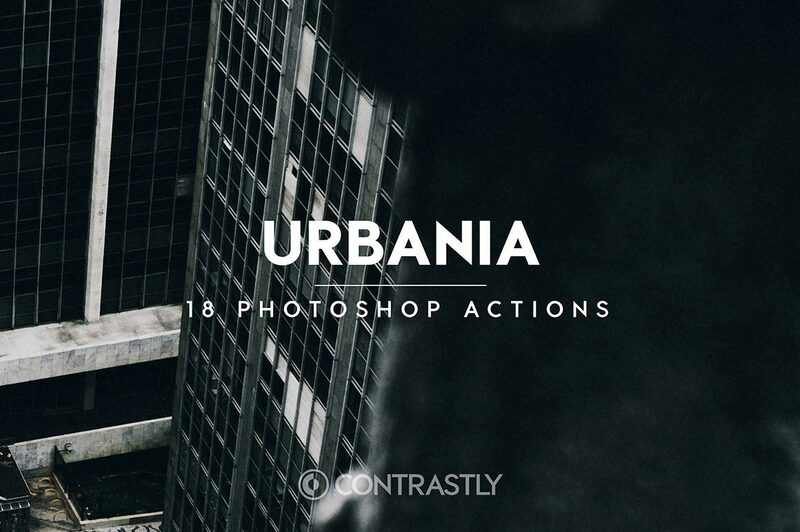 This set of 18 Urbania Photoshop Actions is now available for Access All Areas members to download. They non-destructively edit your photographs and provide fast and easy adjustments and effects with just a single click. Compatible with Photoshop versions CS4 and newer. Holy Moly! LOL These are VERY nice! A great big thanks to CONTRASTLY and to you, Chris! I love the effects these produce!